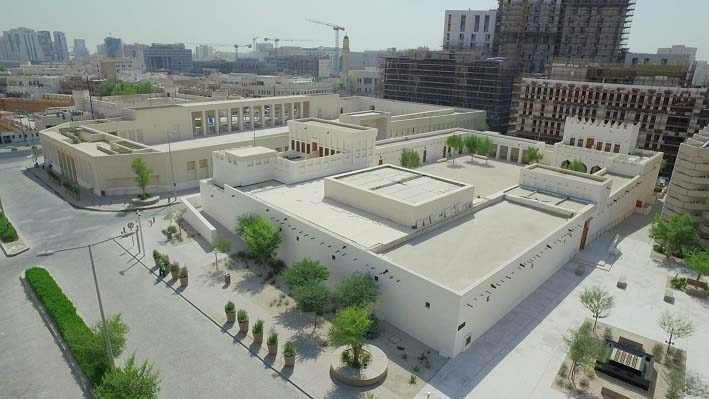 As part of the ongoing redevelopment of the nation’s downtown Musheireb district, four historical buildings have been restored into museums that chart the changing face of Qatar. The Msheireb Museums are situated in the first phase of what will be the Heritage Quarter of Msheireb Properties’ huge QR20 billion (US$5.5 billion), 310,000 sq m development. They were officially opened yesterday by Sheikha Moza bint Nasser, chairperson of Qatar Foundation, which is the parent group of Msheireb Properties. “Today Msheireb Downtown Doha enters a new chapter in its history, through which it will inspire young minds of the future with the wisdom and beauty of our past. 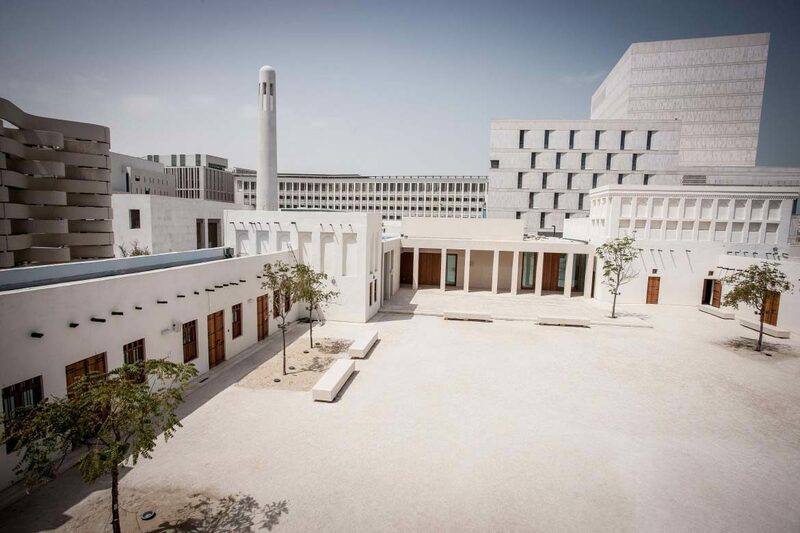 With the opening of these museums, Msheireb reaches a milestone in fulfilling its vision of maintaining our unique architectural identity in Qatar, in a location that is set to be the vibrant heart of our capital,” Sheikha Moza said. Since the cultural project was first announced in 2011, the four historical buildings – Bin Jelmood House, Company House, Mohamed bin Jassim House and Radwani House – have been preserved and restored on the site by teams of local and international experts. Materials that retain the spirit and building techniques of the original structure have been used in the restoration, Msheireb Properties said in a statement. The museums’ launch falls behind its originally scheduled opening date of December 2013, a deadline that was then pushed back to late 2014. A spokesperson for Msheireb Properties declined to comment to Doha News on the apparent delays, but according to the project’s website, the date was pushed back at least in part due to an off-site fire that damaged exhibition materials and other works. Though the museums are not yet fully open to the public, visits of groups of 10 or more people are being conducted from Sunday to Thursday, between 8:30am and 2:30pm. Tours are free, and slots can be reserved by calling 800 3642. The buildings all date from the early part of last century, and are just over 100 years old. Fully restored, they chart the economic history of Qatar through the early days of oil exploration, as well as the social and cultural developments that have taken place. When completed at an unspecified time, they will have cafes and restaurants. Bin Jelmood House charts the history of the global slave trade, particularly in the Indian Ocean region, and the changes caused by its abolition. “Visitors will travel back in time to discover how enslavement spread with the march of civilizations over thousands of years. The museum provides space for reflection on the emotional journey through the story of universal enslavement. It also provides an opportunity for visitors to make a personal commitment to joining the fight against human trafficking in all its many manifestations,” Msheireb Properties said. Meanwhile, the former headquarters of Qatar’s first oil company, Company House, tells the story of the pioneering petroleum industry workers and their families whose work helped to transform Qatar. Exhibits include first-hand accounts from the Qatari men involved in the early days of the oil era, through the challenges of World War II and beyond. The third museum, Mohammed Bin Jassim House was built by the son of the founder of the state of Qatar and its reconstruction focuses on the past, present and sustainable elements of the vast Msheireb site. It also houses the Echo Memory Art Project using objects uncovered during demolition of the site. Additionally, the museum showcases the changes to the old district, describing how the narrow sikka alleyways were created as houses were built on either side, and how they converged onto a baraha, an open-air town square. Finally, visitors to Radwani House, which was first built in the 1920s, can see how everyday family life in Qatar has evolved over the centuries, through pivotal moments such as the discovery of oil and the arrival of electricity. Excavation works there marked the first archaeological digs in the center of the city and produced important finds that provide clues to the daily life during those times. The regeneration of one of Doha’s old commercial centers is being undertaken in stages, to eventually create 100 commercial buildings, 900 residential units for 2,600 people, 10,255 car parking spaces and the space to host 60,000 guests. The museums are part of Phase 1A of the downtown project. That phase focuses on civic and heritage sites, and will also include the Emiri Diwan Annex, residences to the Amiri Guard and the Qatar National Archive, according to Msheireb Properties’ website. The Eid prayer ground, which opened in September last year, is also a key part of the heritage quarter, and the 3,200-square-meter facility has a capacity for 3,612 people. Qatar Academy Msheireb became the first building in the development to formally open when it began teaching students last month. The dual-language English and Arabic school has a 12,754 sq m campus and can accommodate up to 450 pupils. It is the fifth branch of the QF-run Qatar Academy chain, whose private, non-profit schools cater to pre-school, primary and high school students. In July, Msheireb Properties announced that its first commercial tenant in its Al Baraha district would be the International Center for Sport Security (ICSS), which is also part of the QF stable, but construction is still ongoing on this site and it is not yet operational. The developer has been unwilling to predict opening dates for the numerous projects, citing the “scale and complexity” of the site. Other facilities are set to include four hotels, including a Mandarin Oriental, which is due to open next year, and a Park Hyatt Hotel. There will also be shops and a cultural forum featuring two art house cinemas and a performing arts theater, as well as space for public art exhibitions, music and fine art lessons.